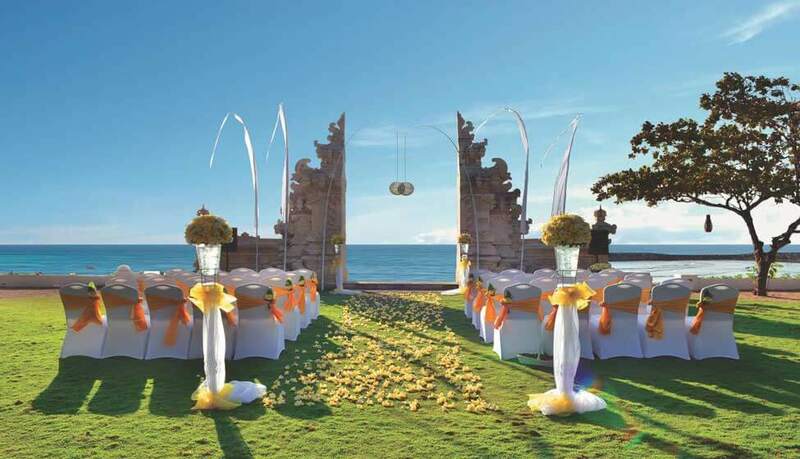 Turn your dreams for a picturesque tropical beach wedding into reality at Discovery Kartika Plaza Hotel. With the beach and Indian Ocean as the backdrop, your special day will become a special event. For an absolutely stunning effect, the wedding ceremony can be held at sunset. 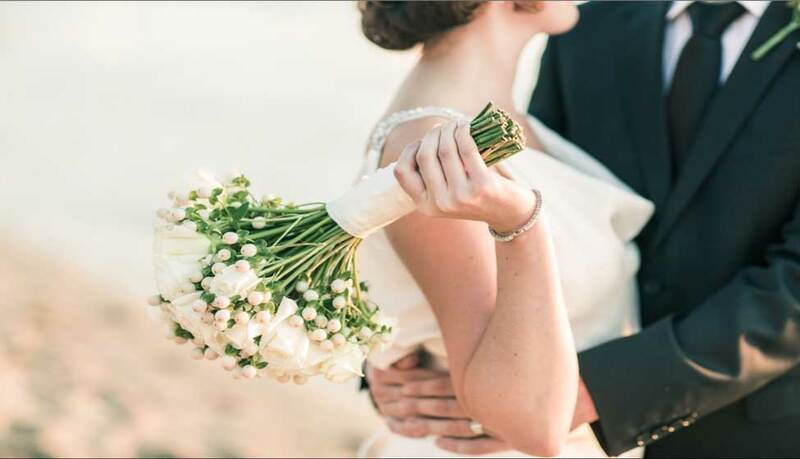 Our wedding team is able to transform your vision of a classic white wedding, a Balinese traditional wedding or a dedication ceremony into reality. This includes organising the seating, decoration, culinary choices, professional photographer, entertainment and customised activities. Wedding certification and registration can also be arranged on request. Should you wish for an indoor wedding, a lavish celebration can be held in the Kharisma Ballroom. Nuptial celebrations for up to 20 persons become intimate on the lawn of the Discovery Beachfront Villa, which has direct access to the beach. As a romantic end to the wedding celebrations, share a romantic candlelight dinner or cuddle up in one of the hotel’s rooms. 4 standing flower, 2 standing lampion, 4 White Balinese flags, 1 desk flower, flower petal, hand bouquet (round shape in frangipani or local rose), Tiffany chairs (max.30 chairs), Chair Ribbon. Valid passport, Birth Certificate, 6 pieces passport-sized photographs of Wedding couple (Bride and Groom) and Divorce Certificate, if any. Church Certificate stating that the couple had previous ceremony before or they will arrange the wedding in Bali. Legalized Status Certificate which should be obtained by respective Embassy.Baptism and the confirmation from church (for Christian only). Letter of freedom to marry and Delegation Letter from the respective Parish to be addressed to Bali’s Catholic Priest (for Catholic only). Please note that there are documents required for Religious and Civil Registration to be received by the Hotel at least one month prior to the event. The package Price is EXCLUDING Consulate Legal Administration Fee and transportation to the consulate office. The price is net inclusive taxes.